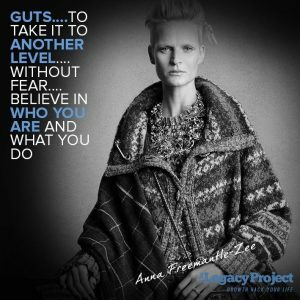 After a ‘moment of magic’ when Anna was spotted by a model agency scout while working as a barmaid in London, she was thrust into the world of International modelling when she joined the agency that also managed supermodels Yasmin Le Bon and Linda Evangelista. She went on to model for some of the biggest names in fashion, including Louis Vuitton, Versace and Valentino, appearing in shows all over the world and being featured in top fashion magazines such as Elle and Vogue. Known today to many as the face of ‘Pringle of Scotland’, this supermodel now spends most of her time working as the Founder, Curator and Director of the highly acclaimed Edinburgh International Fashion Festival. I Am Driven By | The intense belief in that I can make a change – make people hear and believe…trust that there is MORE. My Highlights | A phone call from the Palace saying they LOVE and BELIEVE what I do with the Fashion Festival…. the nod from some of the industry’s greats like Sarah Mower, Lady Amanda Harlech, Jonathan Saunders, Stella Tennant, Juergen Teller, Design Duo Clements Ribeiro amongst others. The Difference Between Good And Great | Guts….to take it to another level….without FEAR…. believe in who you are and what you DO! The Characteristics Of Success | Again, fearlessness. Also morals, belief – and determination….having and sticking to principals. 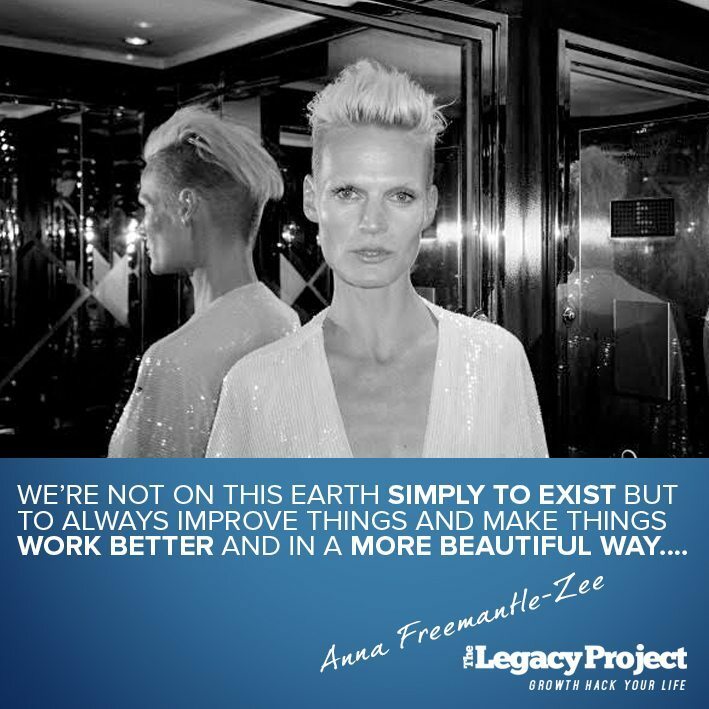 The Legacy I Would Like To Leave | That we’re not on this Earth simply to exist but to always improve things and make things work better and in a more beautiful way….